A Front Line, Top Floor Apartment with spectacular sea views set in the pretty Andalusian style gated Development of Pueblo Espanol, El Campello. With its white-washed buildings, stone walkways, well-kept gardens and direct access to the beach, the apartment block is set around a pretty courtyard with a bar and two restaurants in the centre. There is a bus stop directly in front of the entrance with a regular service (C53) into the town of El Campello with its picturesque promenade, long white sandy beach, marina, shops, bars, chemists, restaurants and supermarkets. The tram stop is just a short walk away from the development and runs a regular service into Alicante and Benidorm. The property has just been fully decorated and furnished to a high standard, there is an open plan lounge/kitchen, two bedrooms, two shower rooms and a glazed in terrace. The lounge has a comfortable chaise sofa, coffee table, English Freeview TV, wifi, aircon and ceiling fan, There is a fully equipped kitchen with oven, microwave, washer, fridge freezer, kettle, toaster, Dolce Gusto coffee machine, electric juicer and a filtered drinking water system fitted. The glazed in terrace can be opened to benefit from the lovely sea views and sea breeze and has a dining table, four chairs and a rattan sofa and coffee table for watching the Mediterranean sunsets. The master bedroom has a king size bed, plenty of wardrobe space, ceiling fan, sea views, hairdryer and en-suite shower room with walk-in shower. The second bedroom has two single beds, fitted wardrobes and ceiling fan. Alicante Airport is just a 15 minute drive. Please contact us with your dates for availability and prices. We live in Spain and have done for the last 12 years. We purchased our second property/holiday home in May 2018 and have decided to rent it as well as use it ourselves. Amazing views and close to town, bars, restaurants and other amenities. Very impressed with this apartment, it had everything you could need for a relaxing family holiday . Everything has been newly decorated in a clean contemporary style. The balcony is fantastic as you can either open it all up for the lovely sea breeze or close it over for the colder months allowing you to still enjoy the fantastic sea view . Lisa provides everything you could wish for. Extra bedding, loads of towels including beach towels. Chairs and table to take outside, washing machine , cleaning equipment- really could not fault the level of facilities within the apartment. Lisa met us on arrival and showed us how everything worked and gave us 2 sets of keys which was ideal as we had 2 teenagers with us. The complex is well maintained and literally right on the beach but not the busy part. Walk to marina took about 10 minutes here there are a couple of nice bars and restaurants. 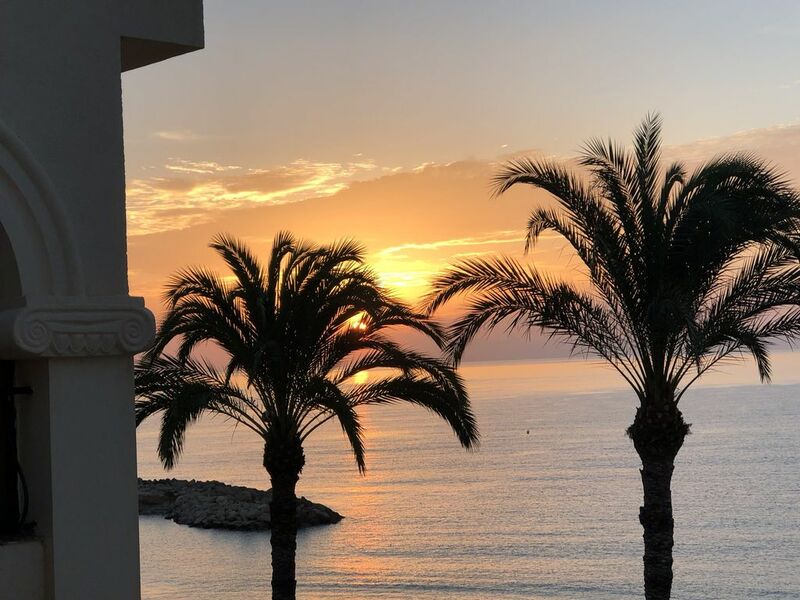 Walk a further 5 minutes and your in the busier main area of El Campello which has a great variety of shops and restaurants and a lovely clean beach. No need to leave the complex as the bar within serves excellent food. There is also an Italian within the complex but we didn’t get the chance to go there. Tram stop is about a 5 min easy walk . The tram is so easy to use and you can travel direct from campello to Alicante or Benidorm with lots of lovely stops along the way. I would 100 percent recommend this property and will definitely return.